What Jobs Are Available With a Women’s Ministry Degree From a Christian College? Before you completing your degree, you want to get some idea about the jobs available for a women’s ministry degree holder. These specialized degrees are usually only available through Christian colleges and religions universities. While enrolled in the program, you learn how to approach different topics from a faith-based perspective and how to use your faith to help others. Many of the positions available in this field are with large churches and organizations that have hundreds of members. Smaller churches typically only offer this positions on a voluntary basis. Church administrator is just one of the jobs available for a women’s ministry degree holder. While some people think these workers are just secretaries and assistants, you’ll handle a large number of tasks around the office. In addition to answer calls, meeting with parishioners and filing documents, you’ll also work with the church leaders to keep things running on budget and ensure that all activities and events hosted by the church run smoothly. You might also write the church newsletter, run rummage sales and other fundraising events and address concerns from parishioners. Though you need an advanced degree, fieldwork and a license to work as a counselor, you can often find counseling positions available with your church. These counselors do not prescribe medications or offer any advanced treatments, but they do work with individuals on a one on one basis and in small groups. You might organize, run and host an alcoholics anonymous meeting or a meeting designed for those who have family members battling addictions, or you might hold seminars and other events to help youths in your community feel better about themselves and improve their body images. Other counseling positions include counselors who specialize in problems that affect families. A youth minister is similar to the head minister of a church, but a youth minister only works with people of a certain age. You typically work with church members who are under the age of 18, and some churches divide their parishioners into multiple groups based on their ages, which gives you the chance to work with teens, pre-teens or children of a younger age. According to the Bureau of Labor Statistics, the top 10 percent of all ministers make more than $76,000 a year, while the bottom 10 percent make just over $22,000 a year. 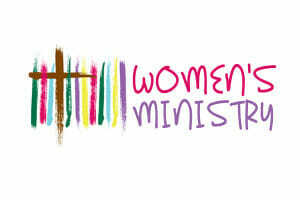 Teaching positions are other types of jobs available for a women’s ministry degree holder. While working at your local church, you might find a position as a Bible studies teacher. These teachers work with younger children and help them better understand the teachings and words found within that book’s pages. Some teachers work with adults and people who are new to the church, and they focus on helping people understand the message of the Bible. Depending on where you work, your church might also task you with teaching Sunday school classes and working with parishioners throughout the week. When you earn a degree in a field that you love, you’ll love what your future holds. Those with a ministry degree often think that they can only work as ministers, but you’ll find various jobs available for a women’s ministry degree holder outside of ministry positions, including jobs as bible studies teachers, church administrators and counselors.